As bright and fresh as a summer cocktail, the Ultra Luxe Citron Swim Robe embodies the life and style of seaside living at its finest. This style with full length sleeves. Such an exceptional robe. So soft, plush and absorbent. Fabric dries & warms very quickly. The Ultra Luxe Range are the finest swim coverup Terry Rich Australia has ever made. The fabric is truly exceptional. The finest quality combed yarn is woven exclusively for Terry Rich to a sumptuously thick & plush 650 grams per square metre. 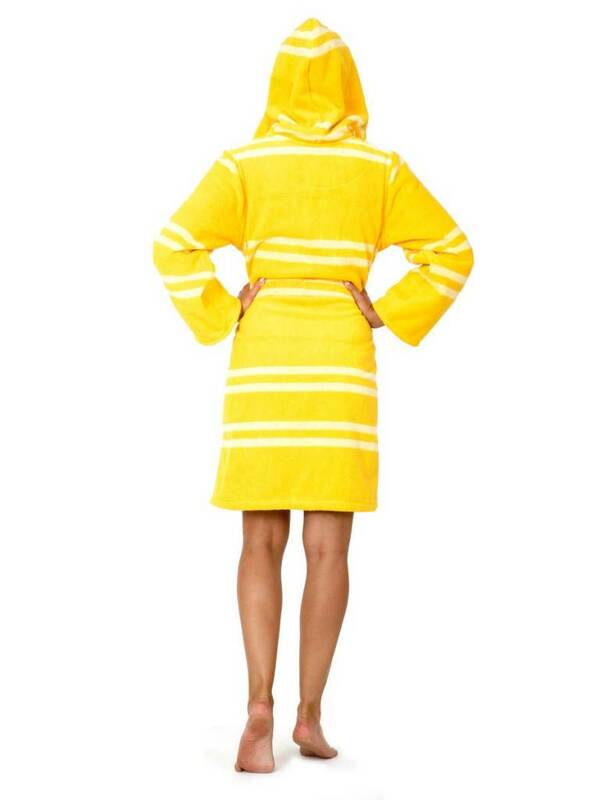 Ultra Luxe robes are also the only swim robes that keep cotton loops on both internal & external fabric faces (i.e. not velour on the outer face). This means they are not only wonderfully plush they are also supremely absorbent. 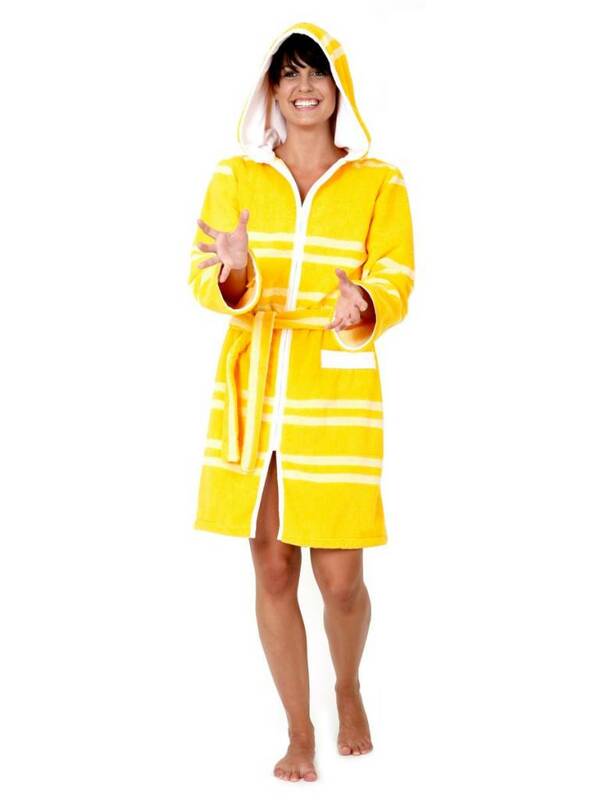 Ultra Luxe robes deliver maximum water absorption for super quick and effective drying of the wearer as well as extreme comfort and warmth. 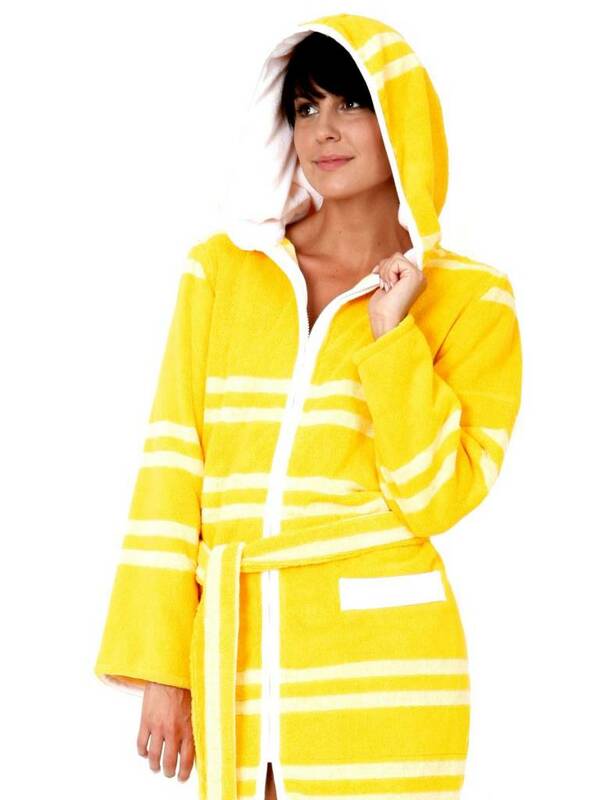 Ultra Luxe robes are perfect for swimmers who are swimming in cold conditions, swimming in early mornings or late evenings, who have long breaks between getting in & out of the water or for whom being cold is at the very bottom of their list (me!). Ultra Luxe swim robes are also highly effective in windy conditions stopping icy winds penetrating to the body whilst remaining breathable and absorbent. Delivery Time: please take a delivery time of max. 2 weeks into account.